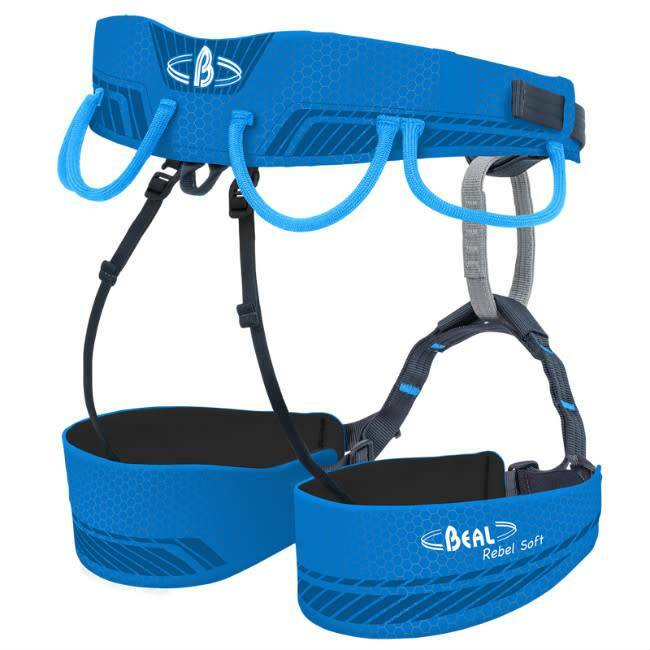 This Beal Rebel Soft Harness is a lightweight, adjustable rock climbing harness. Web-Core soft technology provides high levels of comfort thanks to optimal pressure distribution on hips and thighs. The ultra-light Dynamic-Fit ( licenced by Black Diamond) system allows for easy leg loop adjustments. 2 reinforced gear loops by means of double stitching. Weight: Size 1:325g, Size 2:360g.